Most of us like to think that at the end of our lives we shall have a dignified funeral, arranged and attended by people who care for us. 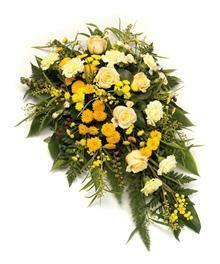 Occasionally, however, people die without relatives or next of kin to make these arrangements. The council provides a welfare funeral for anyone who dies or is found dead in its area and for whom it appears there are no suitable funeral arrangements being made. Councils are given this duty under the Public Health (Control of Diseases) Act 1984. In Oadby and Wigston this service is delivered by Environmental Health Officers. If you’re on a low income and need help to pay for a funeral you’re arranging, you could get a Funeral Payment. How much you get depends on your circumstances.